MoBar has always been out-there when it comes to their interpretations of classics and I like that they push the envelope a little bit (ok, a lot!). How different can a burger get? Well, they promised us it was ‘the most fun we could have between two buns’ (ahem…), and I for one wasn’t planning to pass up an opportunity to try their creations. My friends R&A instantly divvied up the beef burgers between them. I decided to give the Chicken Burger a fair shot (yes, I’m weird like that!). While sane people would have stopped here, the greedy ones will proceed to order more. Since my eyes are always bigger than my stomach – we got the Seafood Sliders as well. This was going to be a fun afternoon! 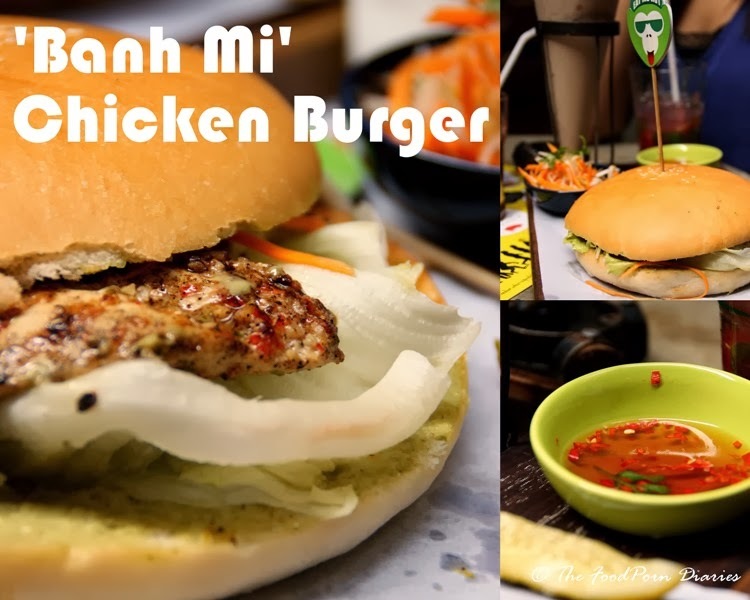 (They have a Veggie Burger and a Pork Sausage Burger as well … so feel free to get all your friends along). The Seafood Sliders were a unanimous choice. Especially because this came as a trio, we decided this would be our appetizer – one for each. (Yes, we are the queens of overdoing it!). This one, I looooved! First of all, there are not many people who make a good seafood burger (The McDonald’s Fish Burger doesn’t count!). Secondly, this one has prawn and crab in addition to the fish! Thirdly, it’s the perfect size. How many times have I seen women (not me) passing over a burger because it’s too messy to eat? 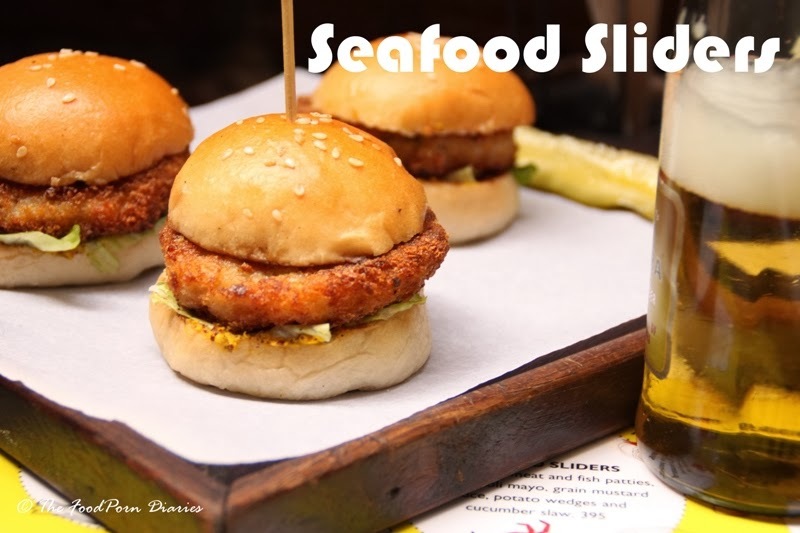 In the end, all I’d like to say is, who can resist a prawn, crab and fish patty between mini burger buns slathered with lemon aioli and grain mustard? Not us! They served this with the best potato wedges (a personal weakness) and some simple cucumber slaw. (I hope they put this on their regular menu…please, pretty please). My quirky friend fell in love with the Square Breakfast even as she read the description in the menu. Beef Patty topped with bacon rashers and a sunny side up egg – served with skinny fries, grilled tomatoes and baked beans. 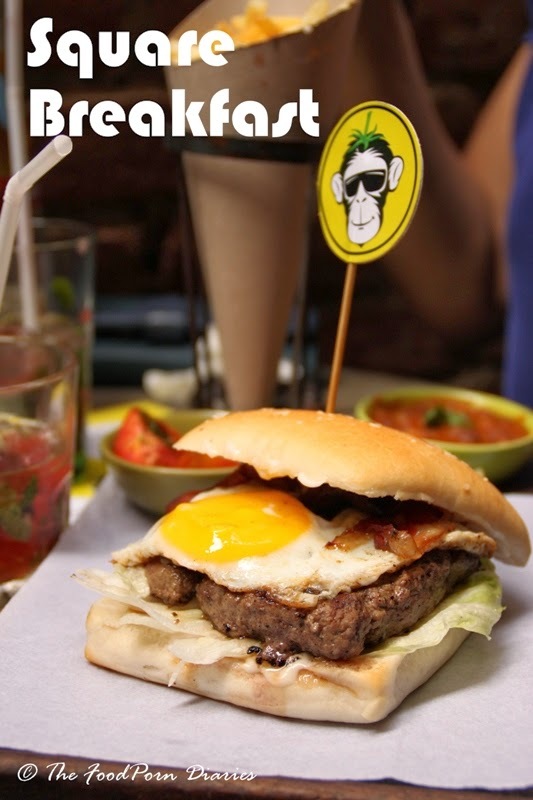 Who said you can’t have breakfast in a burger…or really, even a burger for breakfast? (That was so profound, it’s giving me goosebumps :P) The funnest part of this breakfast burger is that the bun and the patty are square! Reminded me of the ordeals Harry and Kumar endured, to get the square White Castle Burgers. Lucky for us, we have Monkey J My OCD part of the brain can’t resist suggesting that they should use a square mould and get a square sunny side-up egg…wouldn’t that be fab? 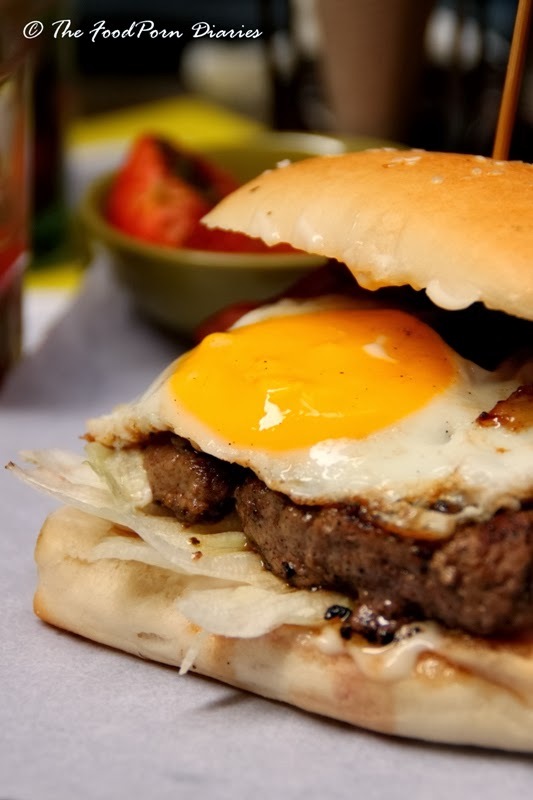 I must warn you that this burger is the messiest – the runny yolk drenches the patty in all its goodness. So come with your sleeves rolled up! 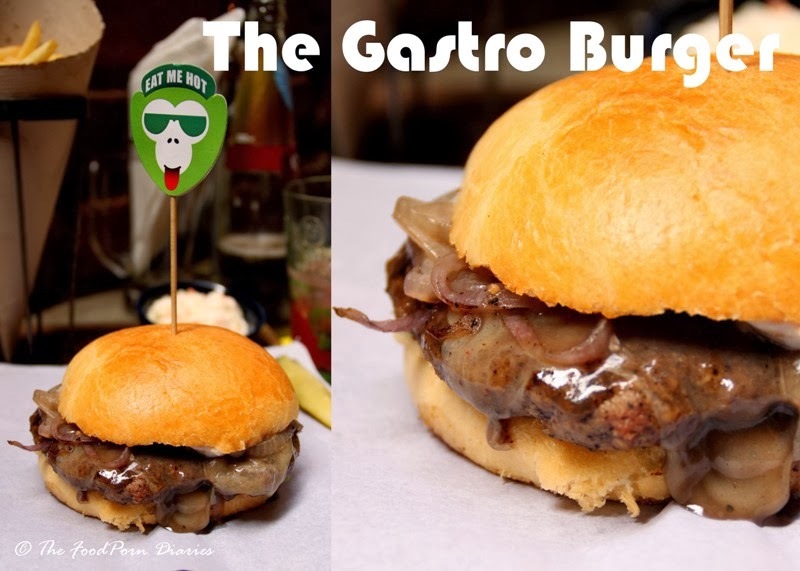 The Gastro Burger was the Big Kahuna, the Sultan of Brunei, the Holy Guacamole, the…well, you get my drift. 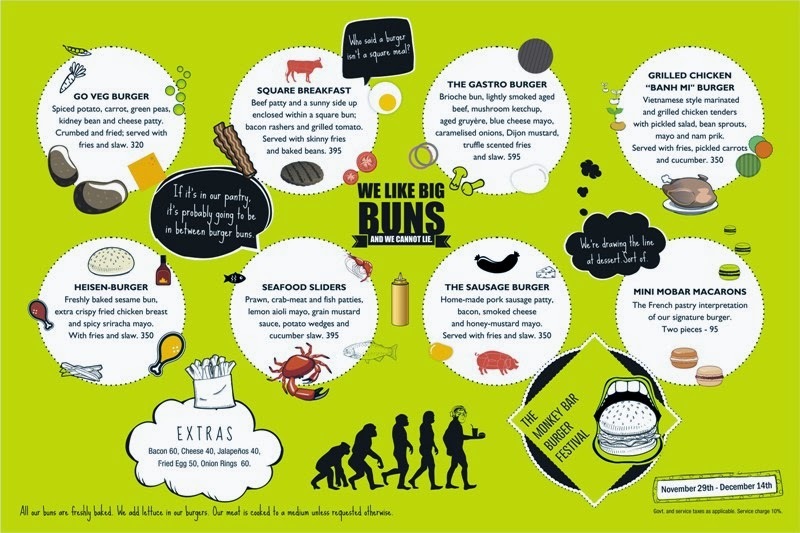 If anyone can squeeze in more awesomeness between two buns – they should be put behind bars for extravagance! Let me tell you what’s inside. Ready? The patty is made from lightly smoked aged beef which is topped with aged Gruyere and caramelized onions. The bun itself is no ordinary bun, but a fancy Brioche (for the uninitiated – it is a rich eggy and buttery bun that screams indulgence!). This is slathered with Dijon mustard on one side and Mushroom Ketchup on the other. Yes, I said Mushroom ketchup. (Didn’t I tell you they push the envelope already?). Oh, and if all that isn’t enough – they serve this with some slaw and truffle scented fries. Sigh …sigh…sigh… I almost regretted not eating beef. This one needs to be savoured. But don’t take too long eating it, because the brioche tends to soak up all the juices and get a little soggy. You could order dessert from their regular menu. But that would be so ho-hum compared to these beautiful Mini Mobar Macarons. (Excuse me while I squeal – how cute!!!) 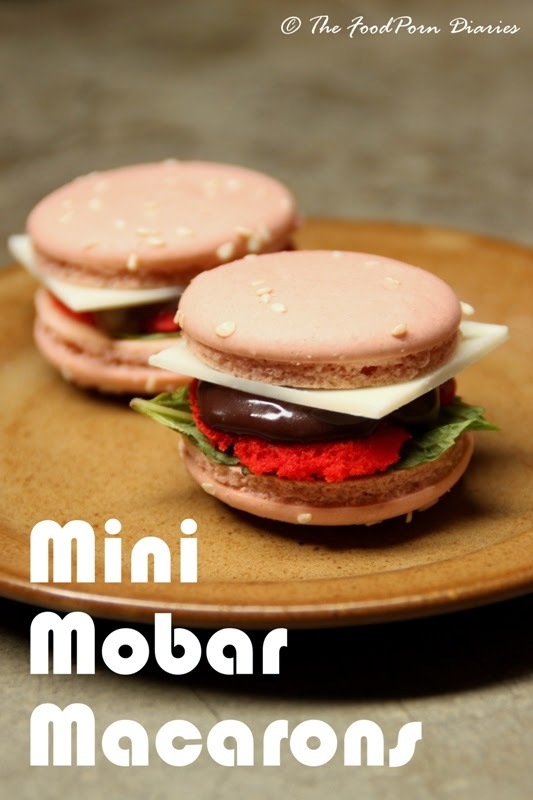 A mini interpretation of the MoBar Burger – this macaron is truly a work of art. I won’t spoil the surprise by listing all the things it’s made of – you’ll just have to go and order it yourself. Trust me, it’s worth it. 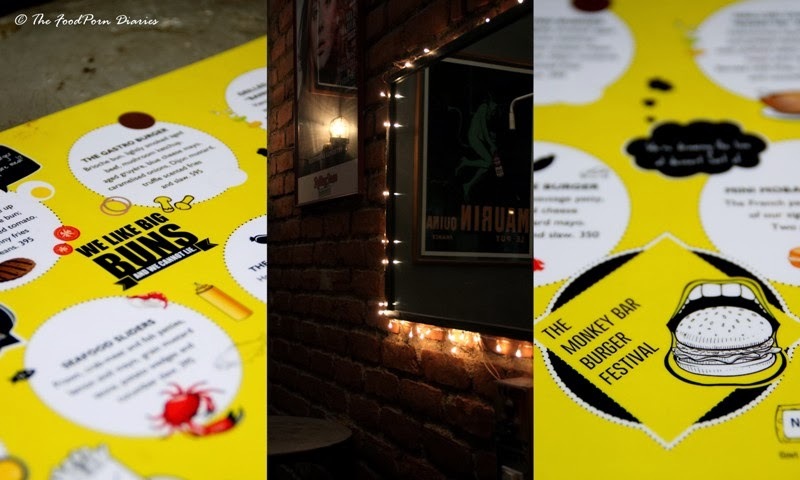 The Monkey Bar Burger Festival runs from Friday, the 29th of November to Saturday, the 14th of December. 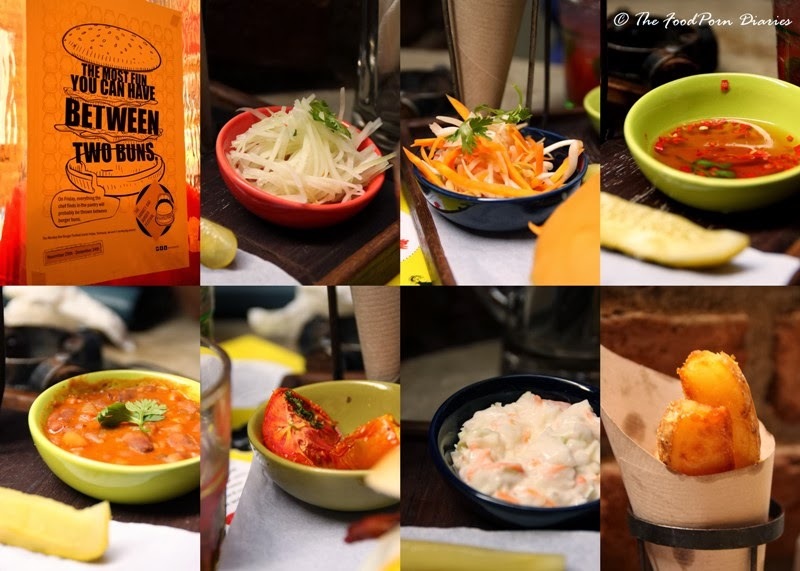 They suggest you come hungry – and so do I!